SOLD OUT - All tickets have been reserved. If you'd still like to attend, you may arrive and stand in our waiting line for possible entry, if we can accommodate. 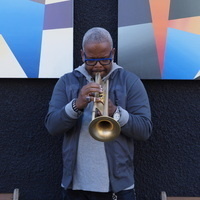 World premiere performance by Grammy-winning trumpeter and composer Terence Blanchard. Commissioned by Tri-C JazzFest Cleveland with support from the Joyce Foundation and MAP Fund, this powerful piece is inspired by the Voting Rights Act of 1965 and reflects the conditions, events and individuals that produced historic political change and public policy. Blanchard’s current group, E-Collective, will be joined by the Spirit of the Groove Gospel Choir, CityMusic Cleveland and spoken word artists RA Washington and Orlando Watson. Sunday, November 4, 2018, 7 p.m.